Glasgow Vegan Festival this weekend (Saturday 10th and Sunday 11th November) at Trades Hall of Glasgow, includes a feast of mouth wateringly delicious food, over 50 fantastic stalls, world food caterers, free food samples, exciting cookery demos, inspirational talks, interactive workshops, yoga and children's activities running throughout each day. And best of all, it’s a great opportunity to try new vegan food innovations before they even hit the store shelves! Local exhibitors include The Nut Shack UK, a family run business based in Paisley, which produces uniquely flavoured peanuts by hand; yogi oils, created and inspired in the Yoga Studios of Glasgow, by yoga teacher Katrino; and Anderson Aromatics from Bothwell near Glasgow specialising in massage therapies and skincare for dry skin conditions, eczema, psoriasis, dermatitis, rosacea and acne. The festival is run in partnership with animal welfare charities including Miracle's Mission. The Glasgow Vegan Festival will also help local homeless people, whilst also helping to reduce food waste. Stall holders are asked to donate any surplus food at the end of the festival, and a group of volunteers distributes it to homeless people after the event, providing a hot meal as well as cold dishes. Glasgow Vegan Festival takes place on Saturday 10th and Sunday 11th November 2018 between 10.30am and 4.30pm at Trades Hall of Glasgow, 85 Glassford Street, Glasgow, G1 1UH. Entry is just £3 (under 16’s free) and this includes entry to all areas and activities. Standard tickets are purchased at the door on the day. VIP tickets, £15, include fast track entry and a goody bag full of vegan products, samples, discounts and offers can be purchased in advance but sell out quickly. Only one week to go until Scottish Fan Fest. That's the first weekend of the Six Nations over. Although things didn't quite go the way we would have wanted, what a cracker it's been. If you are already looking forward to next weekend, how about combining the rugby, with some of the best Scotland has to offer - all in the wonderful, and rarely open to the public Signet Library. Situated right on the Royal Mile, it is the venue for a celebration of the best of all that is Scottish - Culture, Entertainment, Craft, Food & Drink. On the weekend of the 10th & 11th February the library will be hosting carefully curated list of some of Scotland's finest food and drink producers mixed with amazing Scottish craft designers and entertainers. The culinary creations of the likes of ‘Scoff’ and ‘Pies from the Jarvis Pickle Kitchen’ will be alongside liquid luminaries such as ‘Thistly Cross Cider’,‘Stewart Brewing’ and the ‘Scotch Malt Whisky Society’. There will also be various artisan craft traders selling a range of Scottish products, all accompanied by some traditional Scottish entertainment. All this and the Rugby game on a 4x3m screen or the pre game session on Sunday from 11am to 1h30 with transfer to Murrayfield by bus. Do you love Scottish culture? Do you want to experience the best of Scottish food and pair it with the finest Scottish drinks? Then Scottish Fan Fest is definitely an event you don't want to miss! The wonderful, and rarely open to the public Signet Library, right on the Royal Mile, is the venue for a celebration of all that is Scottish - Culture, Entertainment, Craft, Food & Drink. On the weekend of the 10th & 11th February the library will be hosting carefully curated list of some of Scotland's finest food and drink producers mixed with amazing Scottish craft designers and entertainers. The culinary creations of the likes of ‘Scoff’ and ‘Pies from the Jarvis Pickle Kitchen’ will be alongside liquid luminaries such as ‘Thistly Cross Cider’,‘Stewart Brewing’ and the ‘Scotch Malt Whisky Society’. There will also be various artisan craft traders selling a range of Scottish products, all accompanied by some traditional Scottish entertainment. EDINBURGH CRAFT BEER REVOLUTION FESTIVAL RETURNS! Yes, it’s back! Edinburgh’s biggest and best celebration of craft beer returns for November 2017 with more brewers, more street food and, of course, more craft beer! Rich & Dan, the curators of craft beer brilliance have prepared a fantastic line-up for this year’s festival, featuring some the best brewers from Scotland, Ireland, Wales and Europe. The festival will be welcoming some familiar faces from our region and also introducing new breweries from further afield that are producing some delicious beers. As well as the opportunity to sample exclusive beers not available anywhere apart from the festival, there’ll be tasty snacks from top street-food vendors and a great roster of DJs and live music. The venue for this craft beer congregation is the awesome Assembly Roxy, which can be found just off South Bridge, behind Surgeons’ Hall in Old Town Edinburgh. It’s the perfect venue for Edinburgh Craft Beer Revolution Festival with its large main hall, which will be transformed into a Beer Hall showcasing seventeen breweries with over 60 beers on tap at any time, street food stalls and a Cocktail Corner. Elsewhere in the venue there’ll be some very special takeovers in the Upper Theatre and Basement Bar. With local faves such as Alechemy, Fallen Brewing and Pilot rubbing shoulders with international names there is a pale ale, pilsner or porter guaranteed to tickle your tastebuds. Even if you don’t want to enjoy the beers, (which I suppose is possible, but at least give one a try) there will be plenty of epic Thistly Cross ciders, wines from Vino and cocktails available for people who prefer a non-beery tipple. What would a festival be without food… so to accompany the steady stream of flowing beer there will be a selection of mouthwatering street food, featuring flavours from around the world. What goes well with a beer, well a pie of course, so Jarvis Pickles will be on hand to warm you up from the inside. 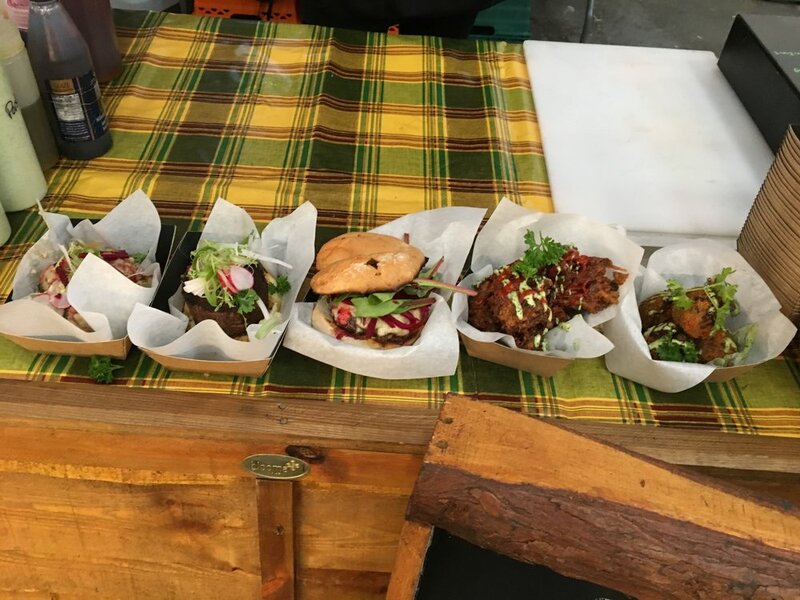 Awesome Scottish street food vendors Bruadair will be on-site, hopefully with their fabulous Venison Burger. Fancy a curry with your pint, Sharma's Street Food will sort you out. And to finish off, how about something sweet (and gluten free) from Sugar Daddy’s bakery. What a line-up! So it's back and it’s bigger and better than ever! More brewers, more beers, more awesome street food, more DJs and more awesomeness. Whether you're a seasoned beer drinker or simply want to sample some of the new and exciting drafts being made by the best up-and-coming brewers in the UK: this is the festival for you! Hopefully you'll have as good a time as this pair! Head over to the Craft Beer Revolution website - http://www.revolutioncraftbeer.com to buy your tickets, which start at £7.20 for the Friday afternoon session, up to £15.20 for a weekend slot. Please note tickets are sold on a first come, first served basis. All tickets include a souvenir tulip glass, programme. A £2 drinks token is also included except all Friday afternoon tickets. Last year early bird tickets sold out within days of launch and weekend most sessions were completely sold out weeks before the event so buy early to guarantee your spot! If you head over to our Facebook page, you could win a pair of tickets to the Thursday or Friday Afternoon session! Fine sippin’ whiskey, world-class BBQ food and live music experiences are what Tennessee is all about, which is why, this September, Jack Daniel’s is bringing a Taste of Tennessee to Glasgow with “The Meeting Place”, a southern spread like no other. The word Tennessee is believed to be derived from the old Yuchi Indian word, ‘Tana-see’, which translates to ‘The Meeting Place’. This one-off gathering in Glasgow’s coolest arts space will bring 200 lucky Glaswegians together to experience some famous southern hospitality and enjoy drinks, food and music inspired by Tennessee. Mr Jasper Newton ‘Jack’ Daniel registered his distillery in Lynchburg, Tennessee in 1866 next to a cool, cave spring water at ‘the hollow’ which just happens to be perfect for making whiskey, and the reason every drop still comes from the same place today. The folk at Jack Daniel’s think that is something worth celebrating, which is why they are inviting friends to find their taste of Tennessee here in the UK. Inspired by the bustling bars and Honky Tonks of Jack’s home state, The Meeting Place will partner with some of the best venues in Glasgow to bring together some of the city’s best drinks, music and food. Among others, renowned bars Slouch, Lebowskis and Saint Luke’s will be mixing up fine whiskey cocktails, while The Buffalo Truck and Chompsky will be firing up the grill to treat friends of Jack to mouthwatering cuts of meat. No Tennessee gathering is complete without live music, and there will be a quality line up to match the food and whiskey cocktails. Throughout the night musicians will play Tennessee inspired tunes to entertain the crowd. For the chance to join Jack Daniel’s at The Meeting Place, head on down to either Moskito, Saint Luke’s, Slouch, Rufus T Firefly, Lebowskis, The Buffalo Truck or Chompsky, purchase a Jack Daniel’s drink and you’ll be handed a Jack Daniel’s postcard to fill out and post into a Tennessee style post mailbox. Entries close on 14th September. Tommy Miah's Indian Street Food Festival will be running again this year at the Raj Restaurant after the great success during last year's Festival. During the show you will dine on an authentic Indian street food menu and will be able to enjoy some stunning dancing from professional Bollywood star choreographer, Ms Sejal Sharma. Sejal is one of Bollywood’s top choreographers who has worked with the biggest stars in the industry. Sejal will be giving you a taste of Mumbai’s Tinsel Town, so be prepared to pack your dancing shoes! Tommy Miah MBE invites you to come and enjoy your summer evenings at the Raj giving diners a truly authentic and special night to remember. Sejal will be exclusively performing between the 11th and 28th of August 2017. It is recommended that you book your table in advance to avoid disappointment. Jack Daniel’s Tennessee Whiskey are inviting cocktail lovers to join them at Cocktails in the City, Glasgow, to find your Taste of Tennessee in the city on 25thAugust. Jack Daniel’s will be bringing a flavour of the bustling bars and Honky Tonks of Tennessee to The Briggait with a saloon style pop-up lounge. The saloon and the whiskey being served there will bring people together; a long-standing tradition that is still as true today as it was when Mr. Jack himself registered his distillery over 150 years ago. Mr Jack was a particular man where whiskey was concerned, which is why he set up his distillery in Lynchburg, Tennessee next to a cool, cave spring in ‘the hollow’ which produces spring water that just happens to be perfect for making whiskey, and the reason every drop still comes from the same place today. The menu of three cocktails being served at the lounge honour Mr. Jack’s home place. Each has been carefully crafted by the talented team at Glasgow’s The Finnieston, and are all inspired by the music, food and culture of Tennessee. Those looking to join Jack Daniel’s as part of Cocktail’s in the City can purchase a ticket for £12. They’ll receive one free cocktail at the event plus a membership card. 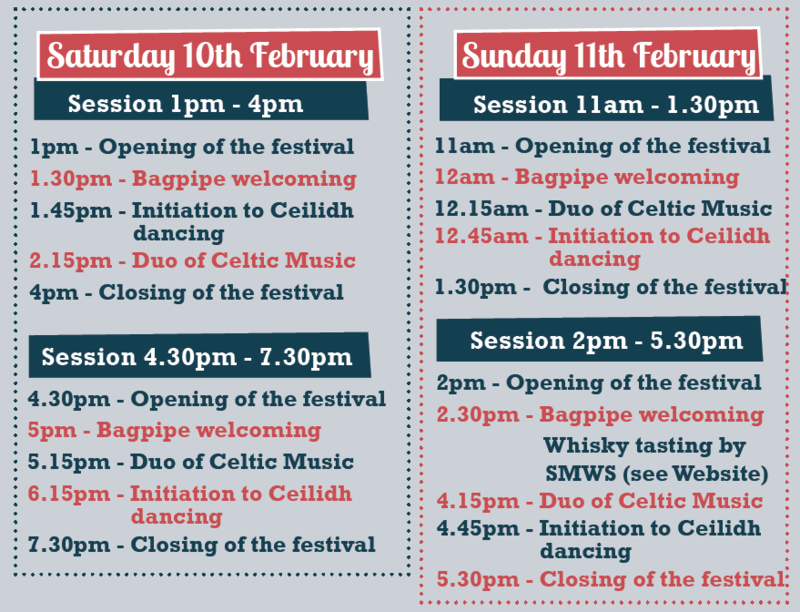 We are delighted to let you know about the first ever Scottish Drinks Festival! On Saturday, August 5th and Sunday, August 6th their will be a celebration of drinks, sampling, food, music and Scottish culture. Under the spectacular roof of The Briggait, one of Glasgow’s most iconic buildings, situated on the bank of the River Clyde there will be held an authentic and credible Scottish drink tasting experience. 2000 people will flock to the Scottish Drinks Festival over four sessions to get a taste of this truly intimate experience. Scotland has a remarkable worldwide reputation for producing world class drinks from whisky to gin to craft ale and more recently rum and fruit wines. The evolution and tales of the drinks industry are woven into the fabric of Scottish history. The festival will allow you to taste these tipples and hear these stories. Over 150 different types of drinks will be available to sample including Makar Glasgow Gin, Strathearn, Deanston, Bunnahabhain, Old J Rums & cocktails, Fallen Beer, Elephant Gin, Fraiser of Scotland, Savanha cider, Poleta wine, Shetland Reel and One Gin. A great many experts will be on hand to let you sample the drinks and learn more about their specialty gin, whisky, rum or other tipple treats. Scotland’s latest, greatest and most exciting drinks brands will serve taster size signature samples and The Scottish Gantry, a new local specialist wine and spirits retailer will be the bottle retailer on the day should you want to grab a bottle to take home with you. We’re thrilled at last to announce this enriched festival experience. The first ever Scottish Drinks Festival will certainly live up to our nation’s global reputation within in the drinks industry. we will showcase an authentic and credible Scottish drink tasting experience in an unexpected, memorable way. The festival will also feature fresh culinary delights from some of the city’s best pop up street food specialists. From the good eating and the familiar, with Scottish twists and beyond. There will also be an option for those with a sweet tooth or a passion for a palletizer. Bold new flavours and innovative combinations will enrich your afternoon’s drink sampling whilst tantalising your taste buds. But the entertainment doesn't stop there as each tasting session will be accompanied by live music from some local acoustic artists.